Formed in 2010, and born of a desire to bring together groups by taking on a former primary school for community activities. Through much endeavour and enthusiasm, whilst dealing with the ups and downs such undertakings bring, with the help and support given by local people Westhoughton Active Communities Organisation - or as it's better known W.A.C.O. - came into being. Ambitious and passionate about the community, the W.A.C.O. 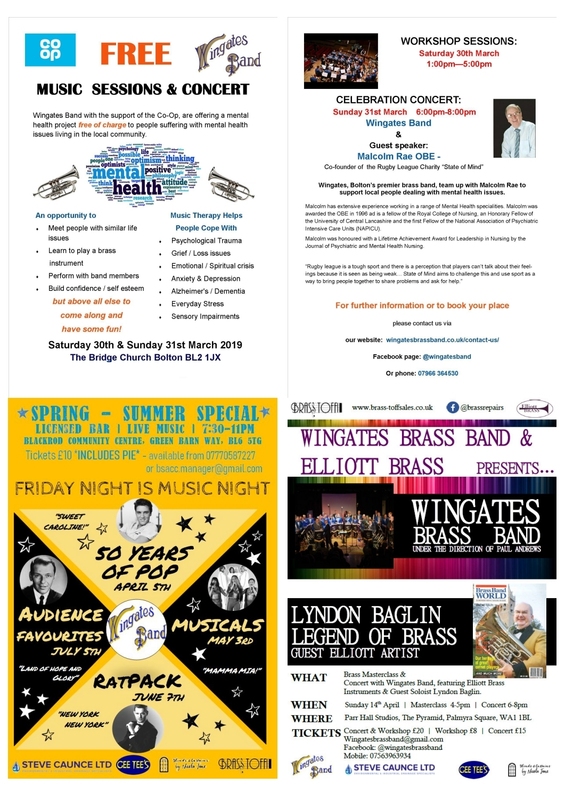 committee and volunteers organised a number of high profile events to spread awareness of their activities, and inject some fun and community ethos into Westhoughton life. The first event was a Christmas Fayre at Westhoughton Market, in which Market Street was partially closed, which in spite of the weather, brought out the crowds; a second Christmas Fayre and several'It's-A-Knockout' events would follow… That enthusiasm and the funds raised allowing W.A.C.O., supported by the Town Council liaising with the Borough Council, to take on a neglected community building, where for three years W.A.C.O., and its fundraising arm - Enterprise Action Unity Ltd. - managed and ran the 'Communiversity', which became a base for a number of community groups, facilitating the establishment of new groups and community activities. As with any group run by volunteers, in order to keep up with their mission of helping and supporting the community, new people are always needed to come along and contribute. Over its existence the achievements are many - supporting local groups, putting on events and getting community facilities up and running. A re-appraisal of the organisation took place in the summer of 2013, The Central Drive Community Centre and its management being taken over by Hope Church, who are the new landlords - most activities continuing as normal. EAU Ltd was disbanded, however, W.AC.O. continued with its remit to raise funds for the community and put on community-wide events. Regrouping in 2014, W.A.C.O., with new support to help with the workload, the group would go on to make important and significant contributions to local life, taking the initiative in projects and causes worthy of support. Having served the community for almost a decade raising many thousands of pounds through events big and small, and other fundraising activities, money used to support local community groups through its grants scheme and some local charitable initiative, W.A.C.O. was formally dissolved at an Extraordinary AGM on 29th October 2018, with officers standing down and remaining funds transferred to local causes. Certainly one of the most significant and beneficial local community organisations, the efforts of its Committees and volunteers over the years making a huge difference - and being greatly appreciated by local residents. News and updates posted on the W.A.C.O. Facebook page. 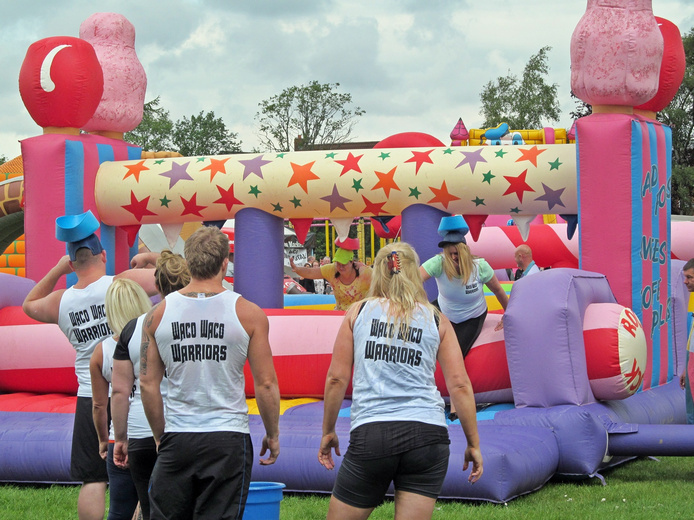 The 'It's-A-Knockout' event became a key event in the Westhoughton summer calendar, bringing some carnival spirit back to Westhoughton. Overseen by the W.A.C.O. Committee and helped by an army of volunteers, these community fundays with funfair and team competitions first taking place in 2011, and the subsequent two years. Taking over the playing fields on Central Drive and using the adjacent community facilities, the events drew local people in their thousands, and enabled W.A.C.O. to raise money for local causes to be given out in grants. At the 2013 event groups of Westhoughton Community Network groups took over rooms in the college to showcase and inform about the many and diverse activities that local community groups are involved - the third WCN Community Fayre. The College partnered too promoting its courses. After a 3-year hiatus 'It's-A-Knockout' returned in 2016 (22nd May) providing a fun-packed day and raising money for local causes, the W.A.C.O. team planning and organising this major event, which as well as the team-oriented, mad-cap, water and foam drama of the competition itself, the day saw funfair and other attractions, rides and entertainment, as well as stalls from community and local businesses. In spite of a lengthy British summer downpour in the middle of the day a massive £2,600 was raised; some of which went towards supporting the new Bolton Lads and Girls Club Westhoughton Youth Project (£1,000 donated). Info page and photos. What would be the last W.A.C.O.It's-A-Knockout event took place on Bank Holiday Monday, 29th May 2017, again at the Central Drive playing fields next to the former Westhoughton College (now The Hub). The 2017 would be the best attended yet, and with its mix of team competition, fun activities, funfair, stalls and entertainment, was a great success. This popular, action-packed, fun-for-all-the family event showing Westhoughton at its best. After all their hard work over the previous months, organisers delighted with both turnout and support from the community with money raised used to support local community projects. W.A.C.O. was a local fundraising organisation, raising money through big events such as 'It's-A-Knockout' or occasional coffee mornings, quiz nights and specific campaigns, such as 'Tyler's Wheels' in 2015 and the 'Polly Haydock Appeal' in 2016. Through its community fundraising W.A.C.O. was able to give out small grants to local groups to help them achieve their goals and progress projects; whilst there are grant giving rounds, applications can be made at any time. In the group's first round of grants, W.A.C.O. supported all Westhoughton Primary Schools with Arts grants, helped the start-up of the Friends of Daisy Hill Station group, the Mercury Christmas Lunch, and sponsored young, local boxing champion. Previously (November 2014), groups we helped were: John Holt Tots & Toddlers group, Washacre FM, Friends of Eatock Lodge, Westhoughton Community Royalty, Westhoughton Rangers Under 7s FC, Hindley FC under 11s, Rainbow Crafts Group, Westhoughton Card Craft Group, White Horse Grove Group, and the Mercury Christmas Lunch for people on their own; as well as for promoting the first Rainbow Crafts Christmas Fayre (6/12/14). In October 2015, the following Westhoughton groups, providing social, educational and essential activities and services, were supported with funding: 42nd Bolton and 12th Bolton Brownies (£150 each towards clothing for the girls' trips away); Friends of Daisy Hill Station (£100 to help with improvement work); Westhoughton Rangers under-12s football club (£200 a trophy and kit); Westhoughton Community Choir (£200 to help buy equipment); WAVE, ho run The John Holt Community Centre (£200 to help with repair costs); HACFRA (£100 to help fund XDC Dance Troupe) and Junior Youth Club; new group Howfen Radio (£200 for setting up costs); Westhoughton Children's Charity (£100 to continue to help local children). During its final year W.A.C.O was particularly supportive of Westhoughton Lions Rugby Club as it sought to develop 'The Den' and improve facilities for the team. W.A.C.O. got involved in a number of special appeals involving local causes, including the Polly Haydock Appeal (2016) and Tyler's Wheels (2015)… The former saw the proceeds of a special raffle going towards funding life-saving treatment for a local, young mother, Polly Haydock, who was suffering from a rare cancer requiring specialist immunotherapy treatment costing over £400,000 and only available in Germany. Polly's cause has received much media attention and have received the support of comedian Peter Kay who put on a special Q&A at the Blackpool Opera House. Here in Westhoughton, the W.A.C.O team has rallied and produced a raffle with some fantastic prizes many donated by local businesses. The £5 tickets for the raffle had some great prizes including: a £1,000 top prize, a trip to Bolton Wanderers (executive box), hampers and more. The draw (streamed live) took place at Wetherspoon's, Market Street on 21st December. 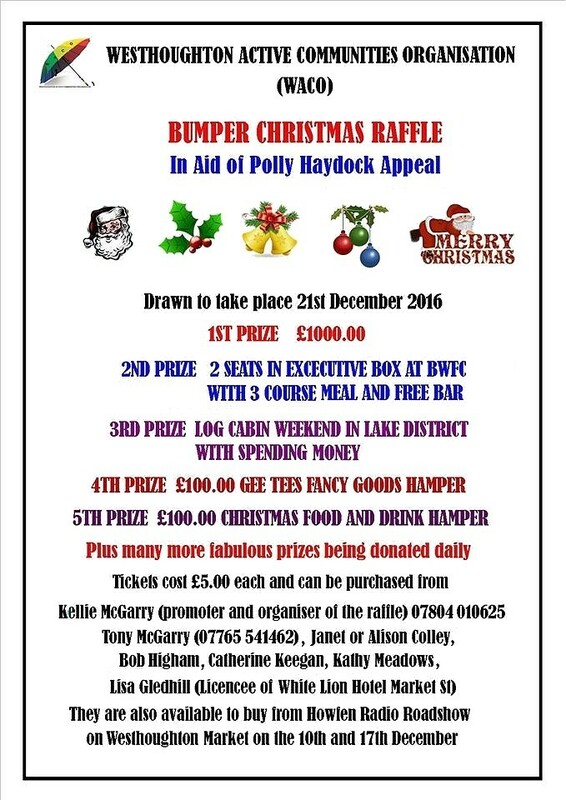 After deductions (prizes, gambling licence, ticket printing and fuel) a massive £4,570 was raised and given to Polly's mum, Judith, in January (2017). Sadly, first diagnosed in October 2015, Polly lost her battle with cancer and died 8th August 2017 at her home in Atherton with her family. The Tyler's Wheels Campaign evidenced one of the strengths of W.A.C.O. - its ability to raise awareness of local issues and causes and energise support - the group rallied to help raise funds to provide a little boy with a specialised pushchair and equipment. 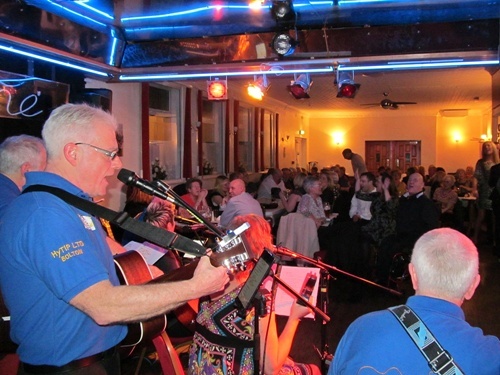 Their target was to raise £2,000; fundraising over a couple of months involving the local community, culminated with a fundraising evening at The Mercury Hotel (13/3/15 - Photos) with some great entertainment including a performance from The Travellin' Strings. The campaign, that even had the 'Tots and Toddlers' group mums doing sponsored walks, raised an incredible £4,000 - a testament to the great community spirit we have in Westhoughton. Tyler got his wheels in November 2016, with the remainder of the money raised handed over to his mum Nicola for his ongoing care. W.A.C.O. was formally dissolved as an organisation at an Extraordinary Annual General Meeting 29th October 2018 after 10 years of serving and supporting the community.